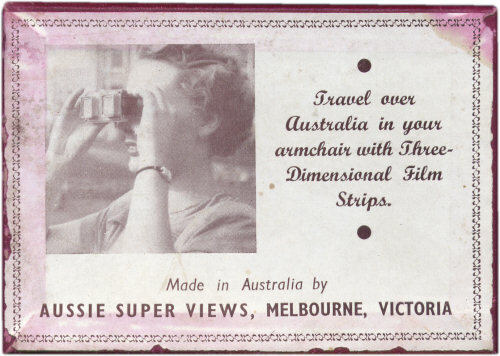 The Aussie Super Views viewer was manufactured by a company of the same name, based in Melbourne, Victoria, Australia in the 1950's. It is made from bakelite with a metal advance mechanism and screw together casing. 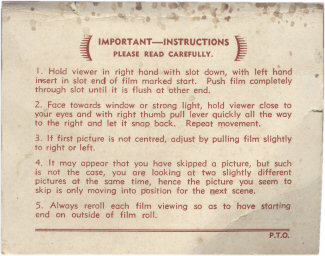 It was used to view 35mm filmstrips, similar to the Tru-Vue format and can be used with Tru-Vue films. 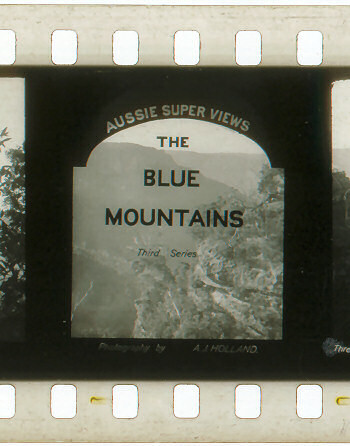 The lower numbered filmstrips were of places in Australia. 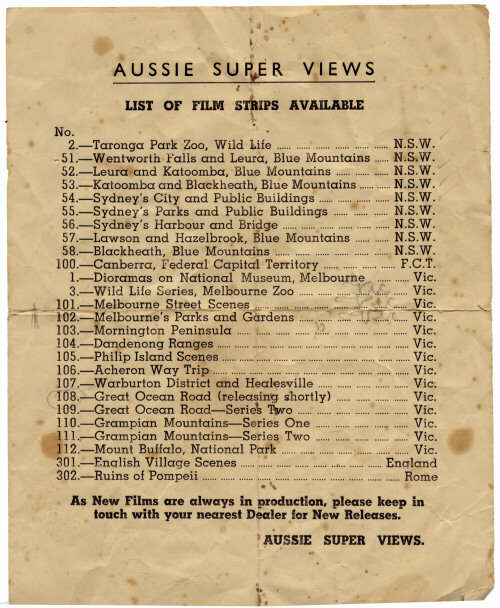 As the filmstrip numbers increased more foreign locations were covered. There was also a focusing version of this viewer where each viewing lens screwed in or out independently to achieve perfect focus for the user. All Aussie Super Views viewers are very hard to find, but the green version below would probably be classed as very rare. 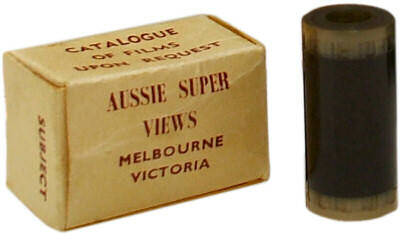 An example of Aussie Super Views film. The film was in black and white and used Kodak film stock. 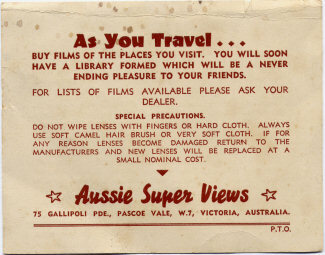 Aussie Super Views films are exceedingly difficult to find.